It’s been so nice out lately! Granted, it’s still a wee bit chilly here but it’s much warmer than it has been. And no snow! I can finally shed all those winter layers and vampy lippies for something a little brighter. 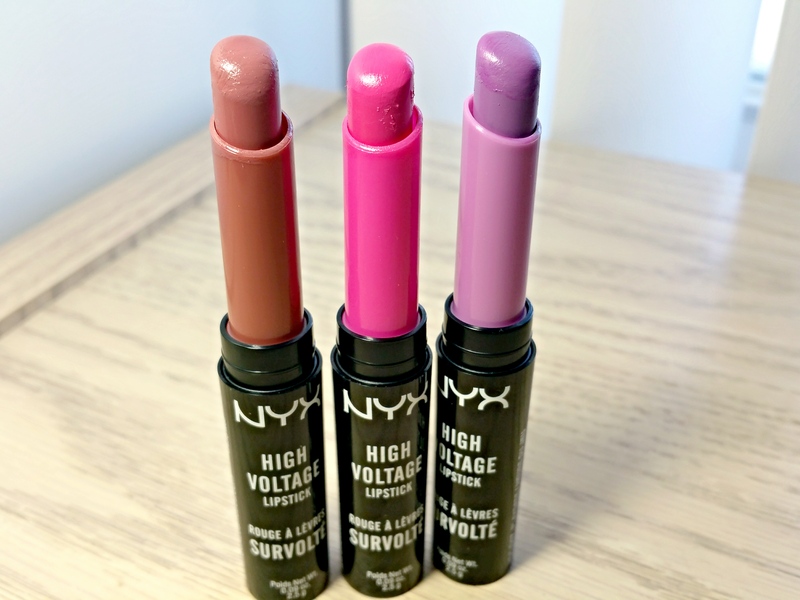 Like some of the new NYX High Voltage lipsticks! I’m not the biggest fan of the cheap, flimsy packaging they sport–the tops slip off like crazy and, of course, the lipsticks get nicked. But I’m pretty addicted to the formula. These lipsticks are nice! All of the shades I’ve tried so far have been pigmented, creamy and very easy to apply. The bullet shape is perfect as it allows for precise application without a lip liner. Each shade glides on smoothly with great pigmentation and a soft satin finish that’s very comfortable to wear. Flutter Kiss is pinky beige with a slight cool undertone that applies evenly with semi-opaque coverage. The color doesn’t settle into lip lines but it does slightly emphasize flakes, bleed and feather. It’s a nice everyday lipstick that looks great against my complexion even without a lip liner. 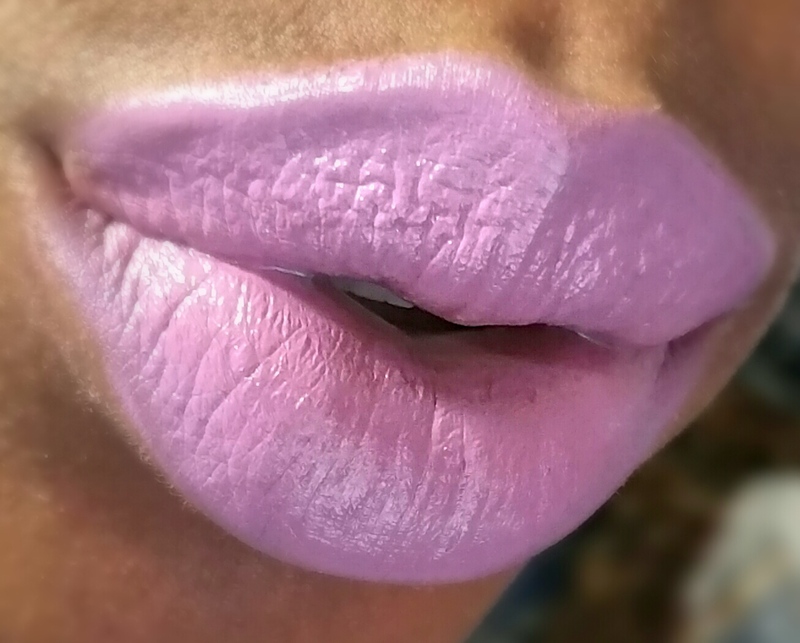 Flutter Kiss lasts for around 3 hours before fading. I highly recommend it! 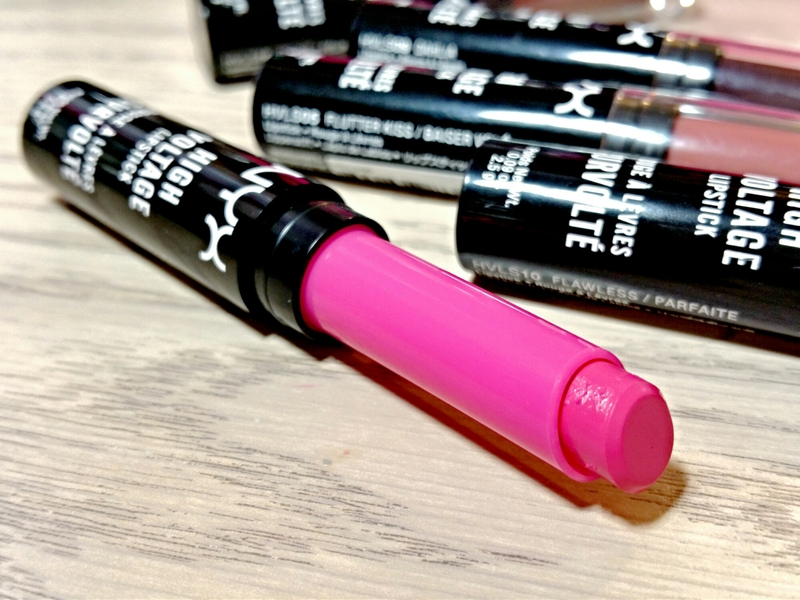 Privileged is a bright, cool bubblegum pink with a blue undertone. 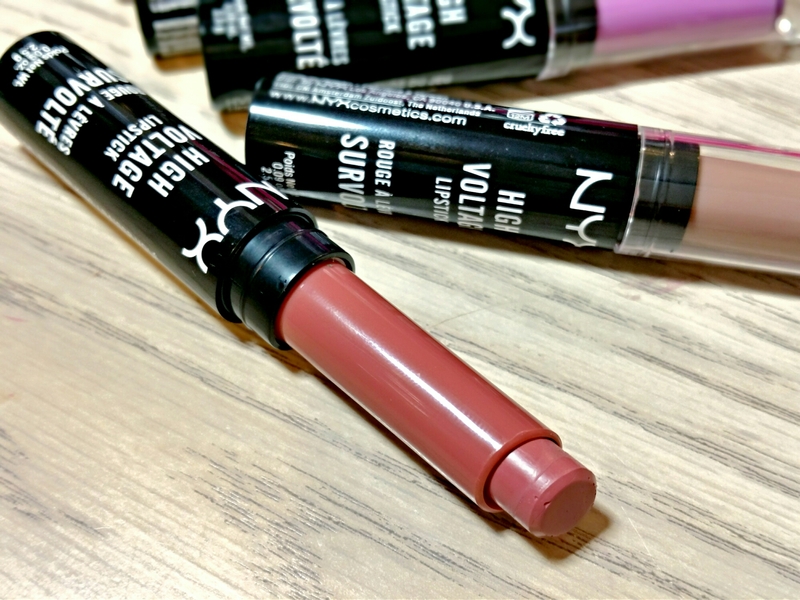 It applies mostly evenly but it creates lines when you press your lips together and lightly emphasizes flakes, settles and bleeds so I recommend pairing it with a lip liner. Privileged lasts for around 3-4 hours before fading into a light stain. As long as you don’t mind exfoliating and using a lip liner I think you’ll love Privileged. 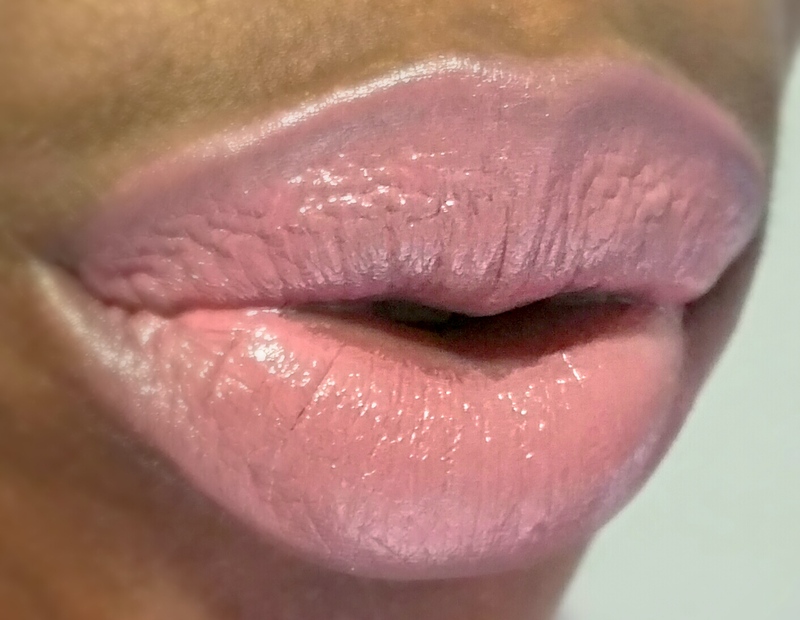 Despite the minor flaws, it’s incredibly easy to wear for a light pink lipstick. 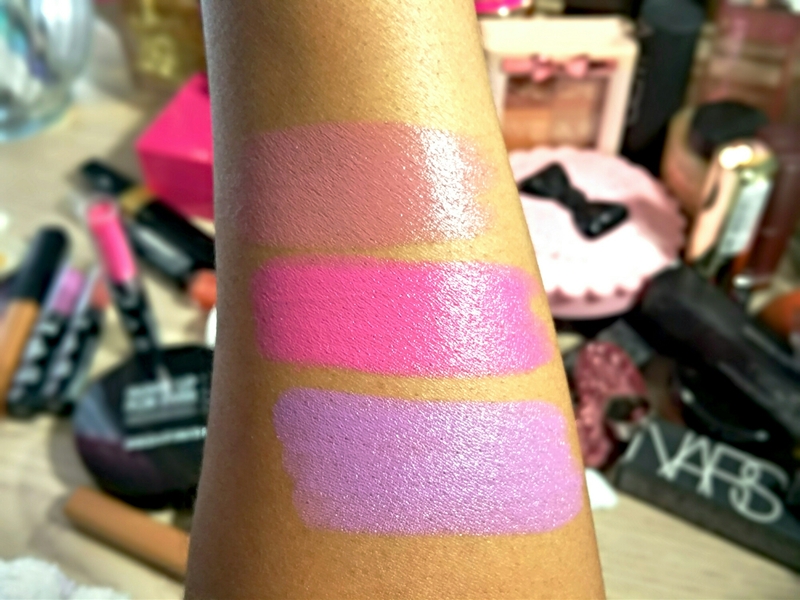 Playdate is a vibrant lavender with a cool undertone that applies surprisingly well. The color doesn’t settle into lip lines or emphasize flakes much at all. I did experience some bleeding and feathering but it was very minor. This certainly isn’t a lipstick for the shy girls but it really pops against my complexion. Of course, I recommend mixing it with a little lip liner. Playdate wears for around 3-4 hours before fading into a light stain. 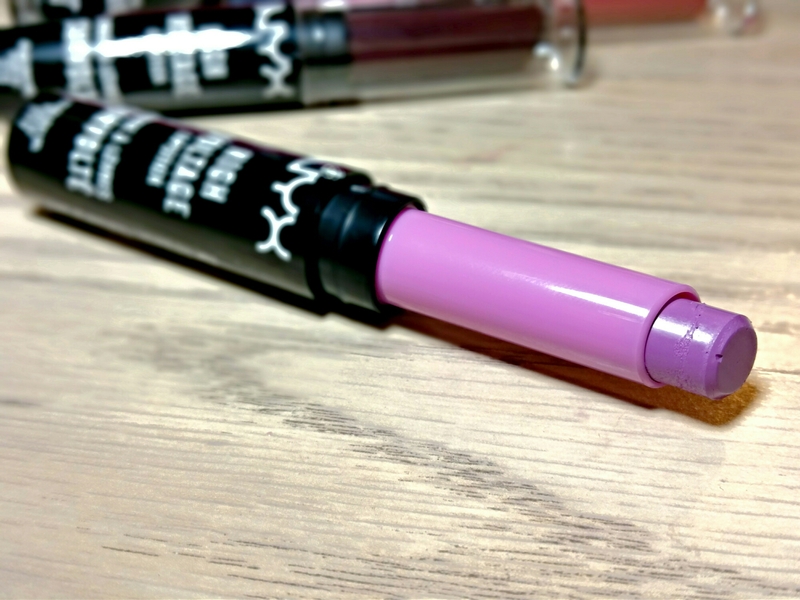 If you’re looking for a playful lavender lip this is definitely it! Playdate is a tricky one lol. Fun but takes a little creativity to make it look great. Flutter Kiss is awesome though. So very wearable!